Ballroom dancer. Tennis player. Emmy-winning actress. Crime scene investigator? Fans may think they know all there is to know about Hillary B. Smith, but the actress reveals some surprises in a candid interview with Soap Central. From her on-court battle with a future tennis champ to her near-exit from One Life to Live, here's what you don't know about Hillary B. Smith. For more than 16 years, Hillary B. Smith has portrayed One Life to Live's Nora Hanen. Seeing the actress day in and day out for such an extended period of time, fans may have come to take Smith's work on the ABC soap for granted, or they may have come to think that they know all there is to know about the actress. After all, how many times can the Emmy-winning actress be asked about her favorite color, most memorable scene, or much-publicized "surprise" contract renewal? But did you know that Smith's road to Llanview almost didn't happen? Yes, had things been slightly different, Hillary B. Smith could very well have been on Centre Court at Wimbledon or wielding a dusting brush at a crime scene. Growing up in Palm Beach, Florida, Hillary Converse Bailey had an active childhood, a childhood filled with horseback riding, tennis, and dancing. Dancing was both a passion and a way of life for Hillary and her family. "It was something that everyone in my town did," says Smith says of learning ballroom dancing. "It was very important that you learned etiquette. I loved it -- and I was very good at it." Smith fondly recalls donning white gloves, socks, and dresses for her weekly Wednesday dance lessons. Still, there was one form of dancing that she had always wanted to learn, but somehow was unable to master. "I wanted so badly to do ballet," Smith recalls. One of her sisters, she notes, was a phenomenal dancer, who'd been picked to appear in a local production of The Nutcracker. Now, when America's interest in dance seems to be on an upswing, Smith says that she'd relish an opportunity to appear on ABC's hit reality show, Dancing With the Stars. Her previous lessons could even provide her with a bit of a head start over other competitors. "If you understand ballroom dancing," Smith says, "you've got a leg up. You're not having to learn a new dance, just new steps to the dance you already know." A prodigious child, Hillary also found a love for tennis. Where some may not see a correlation between dance and tennis, the two share a common need for discipline. As she got better and better, she decided to compete in the USLTA matches. As luck would have it, Smith would play her first competitive amateur tennis match against a soon-to-be superstar who was playing her final tournament before turning pro: Chris Evert. Evert would go on to win the match, but Smith says losing to Evert made her feel "vindicated." If you're going to lose, you might as well lose to the best. The loss also was a turning point for Smith. She learned quickly that a professional career in tennis wasn't for her, but her love of the game never diminished. In fact, Smith still plays in a tennis league today. "Boy, you get humbled very quickly. There are some really good tennis players out there. I didn't have the killer instinct to be a professional athlete," Smith admits. It was lesson that Smith would learn again later in life as she tried to focus on a career path. By age 14, after transferring to the Dana Hall School in Massachusetts, Hillary learned that she had a budding interest in the field of genetics. During this schooling, she studied with a geneticist at Tufts-New England Medical Center in Boston. At the time, genetics was still very much a futuristic science -- not quite Star Trek, but certainly nowhere near the level of sophistication we hear about today. In fact, when Smith first started studying, there wasn't even a textbook for studying genetics in existence. Hillary and her classmates learned directly from lab notes given to them by scientists. Remarkably, Smith was given the opportunity to look through an electron microscope, where she was able to view a chromosome - up close and very personal. At the same time, though, Smith was looking deep into herself as well. During junior college, Smith learned that there was another interest in her life: acting. "I always wanted to be an actress," Smith recalls. "But everyone always said it was too hard to break into acting." Armed with other warnings that acting was little more than a pipe dream, Smith enrolled in Sarah Lawrence College in Bronxville, NY. At the time, Sarah Lawrence was the only school in the United States that offered a Masters program in human genetics. While a senior in college, Hillary enrolled in "Song Class," a course that taught students how to correctly execute songs -- and not just sing - on stage with a microphone. Hillary performed in Song Night in the City, a stunningly elaborate stage show. A producer happened to catch the performance and offered Hillary and two other performers the opportunity to take the show to New York City's WestBeth Theatre as an Off-Off-Broadway show called Song Night in The City. The show was a success, eventually transitioning closer to the Great White Way as an Off-Broadway show. 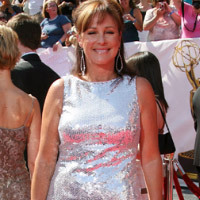 The show caught the attention of Universal Studios and ABC casting director Mary-Jo Slater. Universal went as far as to offer Smith a contract, but the actress rejected the offer so that she could continue her theater career. Hillary graduated from Sarah Lawrence College with a BA, and, more importantly, an offer from Universal Studios. Looking in, some may question the numerous years of college that Smith spent, studying in a field that did not become her career. Smith doesn't regret any of the time she spent in college or anything that she learned in the classroom. In fact, she argues that her studying helped her learn one of her most important lessons outside the classroom. "Probably what I learned is that I didn't have the discipline. You have to constantly expose yourself to what's out there. It has to be a passion. I had that passion for theater -- not genetics. Don't do what you think you're supposed to do. Do what you like to do." On the cusp of stardom, Smith was dealt a major setback. After wrapping a successful run in the Off-Broadway production of World of Black and White, Hillary had a benign parotid tumor surgically removed from her salivary gland. The tumor wasn't completely removed, and it slowly began to grow back. In the process, the tumor became deeply entangled in her facial nerves. A subsequent operation to remove the tumor was required. The operation was not life-threatening, but that didn't make it any less challenging. The parotid glands are the largest of the salivary glands. Removal of the glands -- even in the hands of the most skilled surgeons -- can result in significant facial paralysis. CONTINUE READING... Hillary is left paralyzed by a surgical procedure, as our interview continues in Part Two.